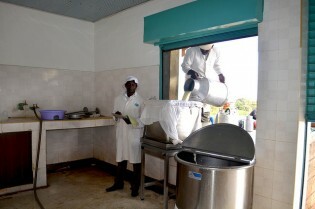 Daniel Mithamo, 28, grew up knowing that dairy farming is about producing milk in large quantities. You sell a few litres, consume some with your family, and dump the rest for lack of cold storage and decent roads to access markets. When Gabriela Blanco tells other Cubans that she works in an organic vegetable cooperative and is getting ready to study agronomy at the university, she gets surprised looks. Brenda Salazar has her sights set on two things: a good organic cacao harvest for the cooperative she belongs to in northern Nicaragua, and for the governments of Central America to heed the ideas of peasant farmers who have organised to fight climate change. “One in eight people goes to sleep hungry every day,” according to the ‘State of Food Insecurity in the World 2012’, a document released annually by the Food and Agriculture Organisation (FAO). It is a tried and tested truth that when women come together in groups they can address their issues more powerfully than they can as individuals.